The Indy Mega Adoption Event Planning Committee for is looking for individuals to join our “medical team”! We are looking to assemble a team that will be responsible for the health and well-being of the cats and dogs at the event. If there is a medical issue or concern, this team will be the “go-to”. All necessary medical supplies and medications will be provided on-site unless there is an emergency. 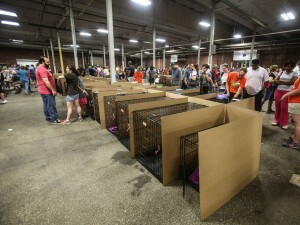 Be part of the IndyMega team and help us find homes for over 1,000 cats and dogs in just 2 days!! Email Janetm@facespayneuter.org with your availability. Wonder what’s up with the hashtag for the IndyMegaAdoptionEvent? Simple! It’s how you can get involved and follow all of the excitement. We’re on Instagram, Facebook and Twitter and our participating organizations will be sharing updates through the hashtag. Follow along and join in the conversation!